I support that belief. If I skip breakfast I’m ready to flatten someone like a pancake by lunchtime. That first food fuels me for hours. Sugary cereals and sweet sticks of granola don’t do it for me. I don’t feel full after eating them. Then there’s the guilt. I need protein and fiber to make me full and fulfilled. 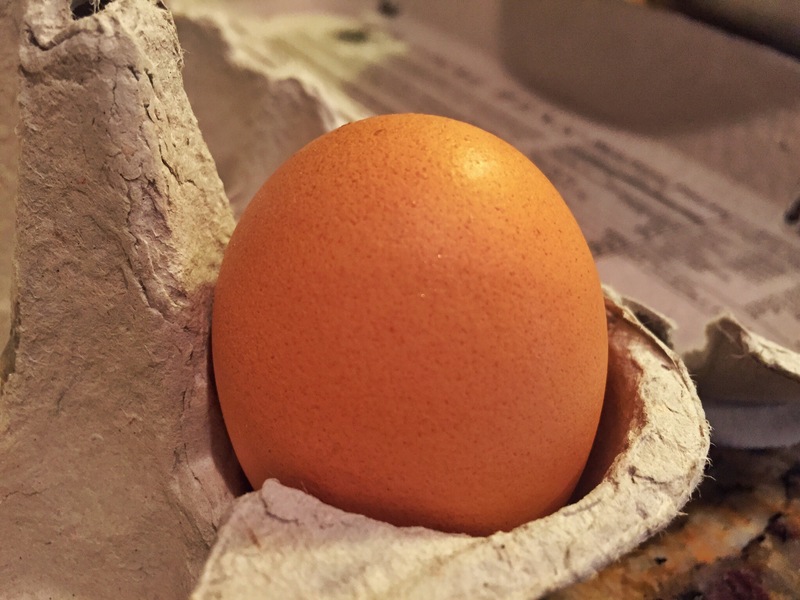 Eggs are the best way to reach my goal. They’re loaded with protein. But they can be downright boring. Scrambling only goes so far. Omelettes can be overwhelming. To make both of those preparations flavorful you have to chop up vegetables, sauté the vegetables, and then grate cheese. Just thinking about all that makes feel like I’m late for work. 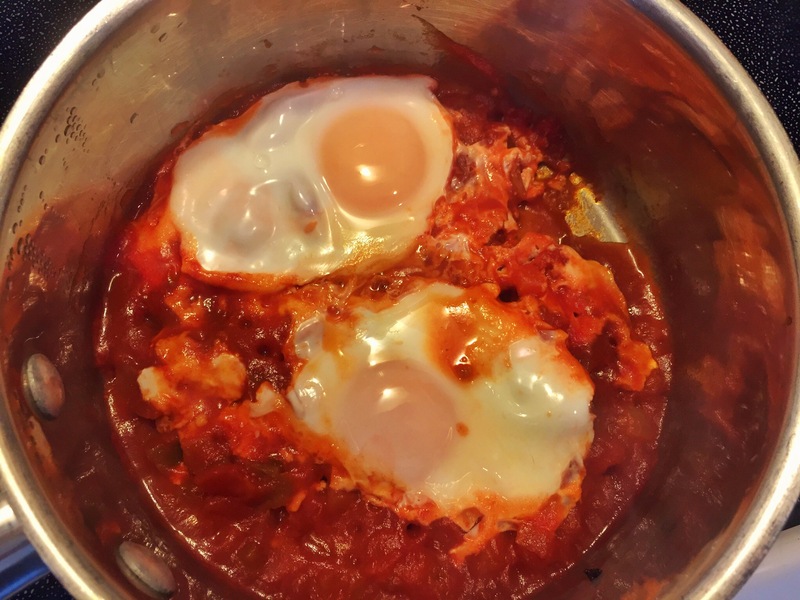 If I just eat 2 cooked eggs I feel cheated. I like sides. My partner in cuisine crime really got me into grits. 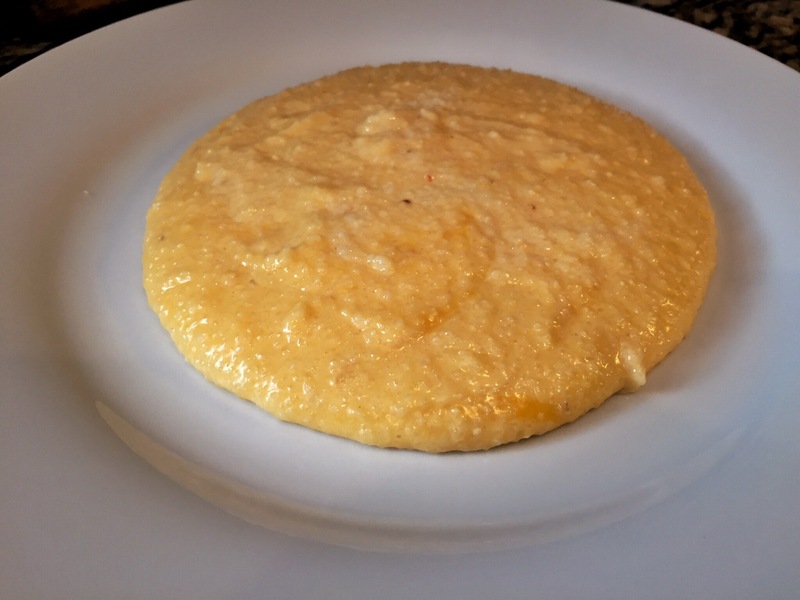 Before that I sided with my dad who thinks grits look like thick “lumpy mashed potatoes.” The first time they were put in front of me I had the same reaction that Joe Pesci and Marisa Tomei had in My Cousin Vinny. Haven’t seen that movie? I feel bad for you. It’s hilarious. 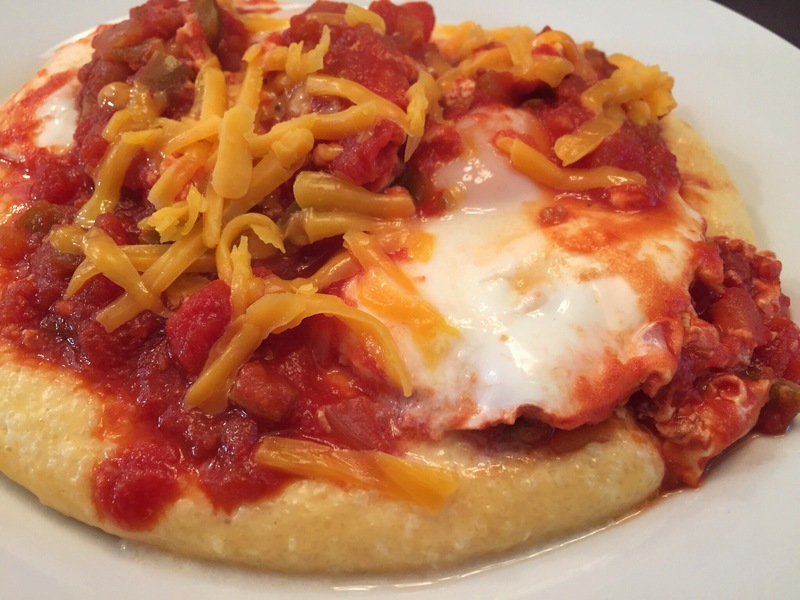 Grits give you protein, fiber and iron, so that’s a good reason to stick with them. Like eggs, grits take work, otherwise they’ll be boring. I decided to take them both and find a way to dress them up in a quick and easy way. Put half the jar (about a cup) into a small saucepan and up the heat on medium-high. You shouldn’t see the bottom of the pan. If you do, add a bit more salsa. While the salsa heats up, start the grits. Bring the water and milk to a boil. Watch out, the milk with froth up. So stir it frequently. When the milk and water boils, add in the grits and a big pinch of salt. If you don’t season the grits right away they’ll be flavorless no matter what. Lower the heat to medium-low and cook for 5 minutes. Keep an eye on them, stirring often. 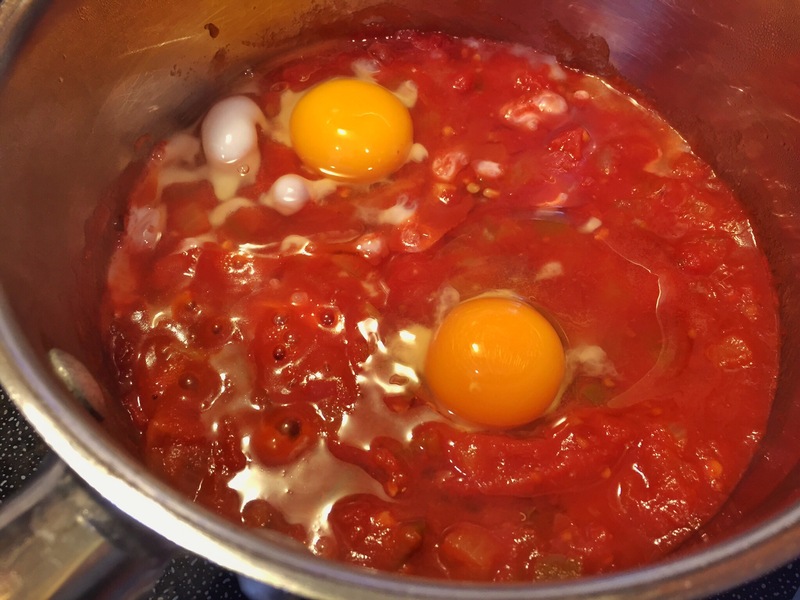 While the grits go, crack two eggs into the hot salsa. Cover. 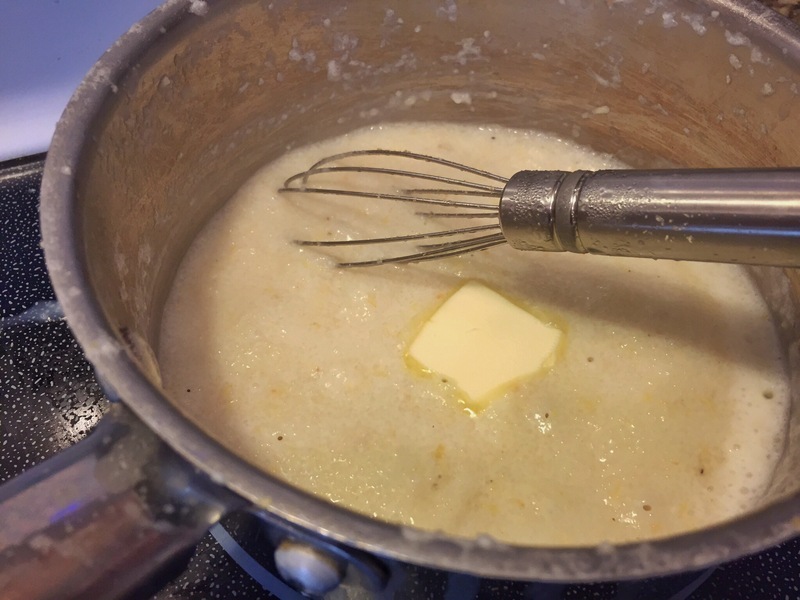 When the grits are thick and creamy, whisk in the butter, and then the cheese and the garlic powder. Stir until smooth and combined. Pour the grits onto a plate. The eggs should be done. The whites will be set. Spoon the eggs onto the grits then top with the remaining salsa in the pan. Sprinkle on a little extra cheese. The grits are so creamy and garlicky. 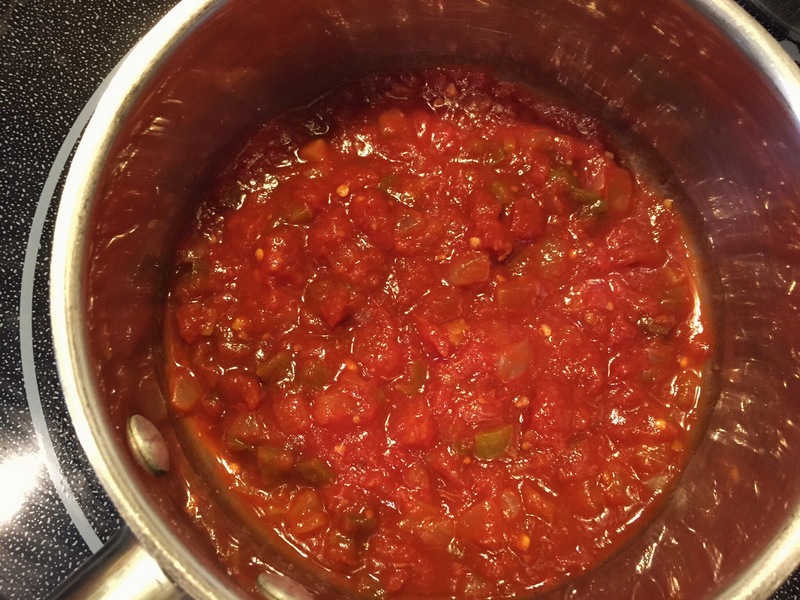 The salsa is zesty and bright from the vinegar. The eggs are light. 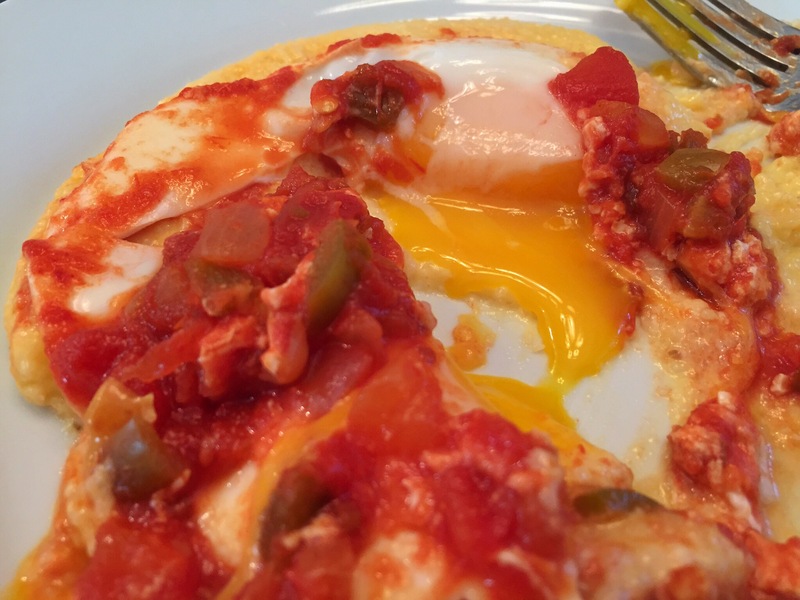 The yolk breaks open and acts like another sauce on the velvety grits. This is one filling breakfast. And it’s about as far from boring as you can get. It’ll take you about 10-15 minutes to make it happen. It’s definitely a before-work breakfast. This is easily expandable, too. You could also forget the grits and eat the eggs and salsa with tortilla chips. But don’t forget the grits. They’re worth it. Tip: Grate your own cheese. There’s anti-caking powder in bags of pre-grated stuff. Who wants to eat that?